Clean CARFAX. Certified. 2018 Acura ILX Lunar Silver Metallic Premium Package FWD 8-Speed Dual-Clutch 2.4L I4 DOHC i-VTEC 16V 25/35 City/Highway MPG Awards: * JD Power Initial Quality Study (IQS) All of our vehicles are researched and priced regularly using LIVE MARKET PRICING TECHNOLOGY to ensure that you always receive the best overall market value. Contact Alyssa or Jeremy in our internet department at (708)364-2321 to set up your test drive today! Serving all of Chicago, Orland Park, Tinley Park, Frankfort, New Lenox, Mokena, Manhattan, Homer Glen, Lockport, Lemont Oak Lawn, Palos Heights, Palos Hills, Oak Brook, Naperville, Hinsdale, Lombard, Lisle, Bolingbrook, Joliet and Oak Park, Chicago land & Chesterton, Crown Point, DeMotte, Dyer, East Chicago, Griffith, Highland, Hammond, Hebron, Hobart, Kentland, Lake Station, La Porte, Merrillville, Michigan City, Munster, Portage, Rensselaer, Schererville, St. John, Cedar Lake, Valparaiso, and Winfield,Gary, Northwest Indiana. Clean CARFAX. Certified. 2015 Acura RDX White Diamond Pearl Technology Package AWD 6-Speed Automatic 3.5L V6 SOHC i-VTEC 24V 19/27 City/Highway MPG Awards: * 2015 KBB.com 10 Best Luxury Cars Under $35,000 For more information, visit www.kbb.com. Kelley Blue Book is a registered trademark of Kelley Blue Book Co., Inc. All of our vehicles are researched and priced regularly using LIVE MARKET PRICING TECHNOLOGY to ensure that you always receive the best overall market value. Contact Alyssa or Jeremy in our internet department at (708)364-2321 to set up your test drive today! Reviews: * The 2015 RDX is the ideal choice if you want a luxury SUV but not the sticker shock and questionable reliability that can be associated with one. 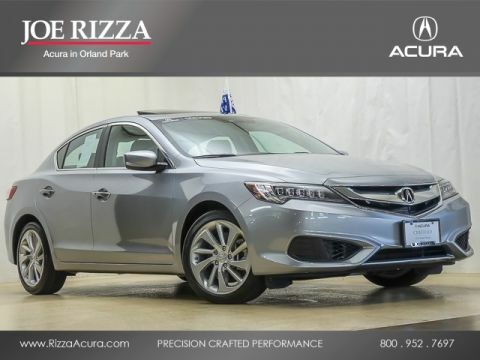 Above-average resale value and Acura's reputation for quality add further peace of mind. Source: KBB.com * Strong yet fuel-efficient V6; generous rear legroom; lengthy standard features list; competitive price. 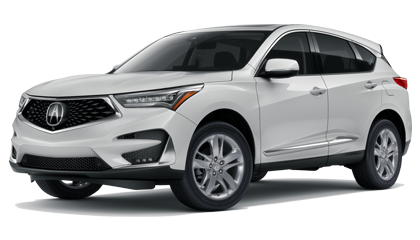 Source: Edmunds * The 2015 Acura RDX is a powerful compact crossover that offers a stylish exterior with a luxury interior. The RDX is equipped with a 3.5-liter, i-VTEC V-6 Engine, that produces 273 Horsepower. Despite its power it remains fuel efficient with the front-wheel drive model getting an EPA rating of 20 MPG City, 28 MPG Highway, and a combined 23 MPG. The all-wheel drive version is impressive as well with 19 MPG City, 27 MPG Highway, and 22 MPG combined. The Engine in the RDX comes with Variable Cylinder Management that automatically makes changes to the number of cylinders used at any given time. It enables it so the engine can run on six, four, or three cylinders depending on power demand, allowing for the most fuel efficiency possible. The RDX comes standard with a Sequential SportShift Automatic Transmission with steering-mounted paddle shifters. You have the option to choose either Drive mode for smooth shifting and optimal fuel efficiency, or you can go into Sport mode for performance driving and quick, precise shifts at your fingertips. If you choose to upgrade into the All-Wheel Drive model, it comes with Intelligent Control. This uses the front wheels only to propel the vehicle during regular cruising, and supplies more power to the rear depending on how slippery the surface you are driving on is. The interior of the RDX offers comfortable seating for up to five passengers with its plush leather seats in front and back. The driver and front passenger get dual-level heaters in seats and dual-zone climate controls. The driver's seat also comes equipped with a lumbar adjustment feature to keep your back comfortable. For safety, the RDX comes with a rearview camera, which activates whenever the vehicle is put into reverse. Also included is the Bluetooth HandsFreeLink, as well as the text message function that can read your texts to you and supply you with your choice of six pre-loaded responses. The Technology Package includes a Navigation System and a Destination Database to direct you to nearby ATMs, restaurants, and more. It also comes with AcuraLink, an easy to use data network that reminds you about maintenance appointments and communicates directly with your dealer. 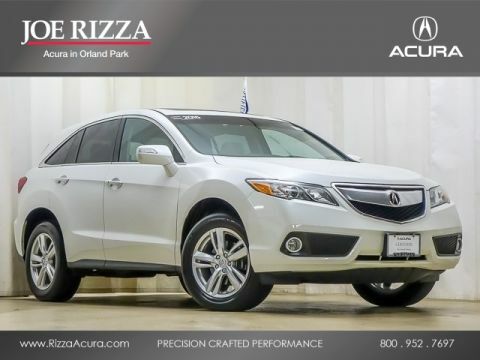 If you are looking for comfort without compromise, step into the 2015 Acura RDX. Source: The Manufacturer Summary Serving all of Chicago, Orland Park, Tinley Park, Frankfort, New Lenox, Mokena, Manhattan, Homer Glen, Lockport, Lemont Oak Lawn, Palos Heights, Palos Hills, Oak Brook, Naperville, Hinsdale, Lombard, Lisle, Bolingbrook, Joliet and Oak Park, Chicago land & Chesterton, Crown Point, DeMotte, Dyer, East Chicago, Griffith, Highland, Hammond, Hebron, Hobart, Kentland, Lake Station, La Porte, Merrillville, Michigan City, Munster, Portage, Rensselaer, Schererville, St. John, Cedar Lake, Valparaiso, and Winfield,Gary, Northwest Indiana. Clean CARFAX. Certified. 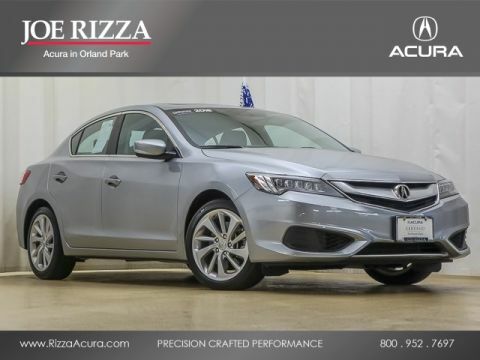 2018 Acura ILX Lunar Silver Metallic Technology Package FWD 8-Speed Dual-Clutch 2.4L I4 DOHC i-VTEC 16V 25/35 City/Highway MPG Awards: * JD Power Initial Quality Study (IQS) All of our vehicles are researched and priced regularly using LIVE MARKET PRICING TECHNOLOGY to ensure that you always receive the best overall market value. Contact Alyssa or Jeremy in our internet department at (708)364-2321 to set up your test drive today! Serving all of Chicago, Orland Park, Tinley Park, Frankfort, New Lenox, Mokena, Manhattan, Homer Glen, Lockport, Lemont Oak Lawn, Palos Heights, Palos Hills, Oak Brook, Naperville, Hinsdale, Lombard, Lisle, Bolingbrook, Joliet and Oak Park, Chicago land & Chesterton, Crown Point, DeMotte, Dyer, East Chicago, Griffith, Highland, Hammond, Hebron, Hobart, Kentland, Lake Station, La Porte, Merrillville, Michigan City, Munster, Portage, Rensselaer, Schererville, St. John, Cedar Lake, Valparaiso, and Winfield,Gary, Northwest Indiana. Clean CARFAX. Certified. 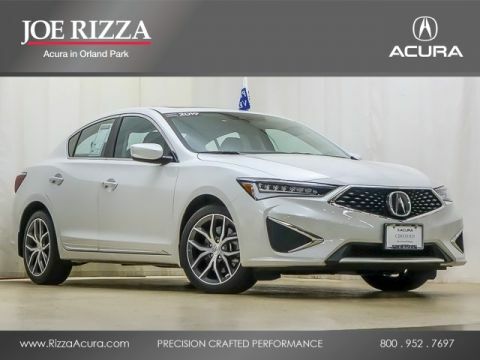 2019 Acura ILX Platinum White Pearl Technology Package FWD 8-Speed Dual-Clutch 2.4L I4 DOHC i-VTEC 16V Recent Arrival! 24/34 City/Highway MPG All of our vehicles are researched and priced regularly using LIVE MARKET PRICING TECHNOLOGY to ensure that you always receive the best overall market value. Contact Alyssa or Jeremy in our internet department at (708)364-2321 to set up your test drive today! Serving all of Chicago, Orland Park, Tinley Park, Frankfort, New Lenox, Mokena, Manhattan, Homer Glen, Lockport, Lemont Oak Lawn, Palos Heights, Palos Hills, Oak Brook, Naperville, Hinsdale, Lombard, Lisle, Bolingbrook, Joliet and Oak Park, Chicago land & Chesterton, Crown Point, DeMotte, Dyer, East Chicago, Griffith, Highland, Hammond, Hebron, Hobart, Kentland, Lake Station, La Porte, Merrillville, Michigan City, Munster, Portage, Rensselaer, Schererville, St. John, Cedar Lake, Valparaiso, and Winfield,Gary, Northwest Indiana. Certified. 2016 Acura MDX Crystal Black Pearl 3.5L SH-AWD w/Advance Package AWD 9-Speed Automatic 3.5L V6 SOHC i-VTEC 24V 19/26 City/Highway MPG Awards: * 2016 KBB.com Best Buy Awards Finalist * 2016 KBB.com 5-Year Cost to Own Awards 2016 Kelley Blue Book Brand Image Awards are based on the Brand Watch(tm) study from Kelley Blue Book Market Intelligence. Award calculated among non-luxury shoppers. For more information, visit www.kbb.com. Kelley Blue Book is a registered trademark of Kelley Blue Book Co., Inc. All of our vehicles are researched and priced regularly using LIVE MARKET PRICING TECHNOLOGY to ensure that you always receive the best overall market value. Contact Alyssa or Jeremy in our internet department at (708)364-2321 to set up your test drive today! Reviews: * Generous number of features for the money; adept handling; good fuel economy; confident acceleration; quiet cabin; excellent crash-test scores. Source: Edmunds * The Acura MDX is as refined as it is sophisticated. It is adorned with gorgeous Jewel Eye LED Headlights, which are designed to help improve reaction times and lessen eyestrain. With SUVs and Crossovers, keeping vehicle weight low is important. 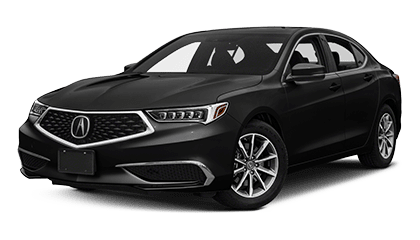 Acura worked some engineering magic when they shed 275 pounds from the vehicle, all the while increasing unit body rigidity using hi-tech lightweight materials. Expert engineering make the MDX quieter with acoustic front glass, sound-deadening materials, and active noise cancellation. On the inside, drivers will find comfort and luxury amidst high-tech advancements. The dash offers a sleek look and convenient arrangement of controls. 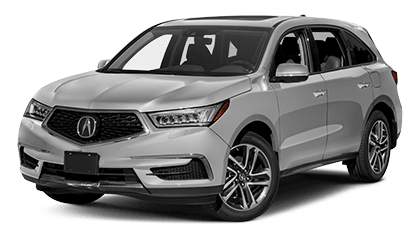 The MDX comes standard with a 3.5L 290hp V6, i-VTEC engine, which gets an EPA estimated 19 MPG City and 27 MPG Highway for FWD models and 15/27 for SH-AWD models. It has a 9-Speed Sequential SportShift Automatic and the ability to switch to manual control where you can change gears with paddle shifters. The MDX comes standard with a very generous assortment of features. Some of the items are the Multi-View Rear Camera, Anti-lock Brakes, USB iPod Integration, Vehicle Stability Assist, Bluetooth HandsFreeLink, and a Power Tailgate. Optional packages give you amazing items as well. Some of them are Acura's Next Generation Navigation System, the Forward Collision Warning System, ELS Premium 10 speaker Sound System, and a 9-inch overhead screen in the rear with the Entertainment Package or a 16.2-inch split screen display with the Advance package which can display up to 2 video sources. Acuralink can also provide other services with a subscription including vehicle theft tracking, live concierge service, and remote unlocking/locking. Source: The Manufacturer Summary Serving all of Chicago, Orland Park, Tinley Park, Frankfort, New Lenox, Mokena, Manhattan, Homer Glen, Lockport, Lemont Oak Lawn, Palos Heights, Palos Hills, Oak Brook, Naperville, Hinsdale, Lombard, Lisle, Bolingbrook, Joliet and Oak Park, Chicago land & Chesterton, Crown Point, DeMotte, Dyer, East Chicago, Griffith, Highland, Hammond, Hebron, Hobart, Kentland, Lake Station, La Porte, Merrillville, Michigan City, Munster, Portage, Rensselaer, Schererville, St. John, Cedar Lake, Valparaiso, and Winfield,Gary, Northwest Indiana. Clean CARFAX. Certified. 2016 Acura MDX Dark Cherry Pearl 3.5L FWD 9-Speed Automatic 3.5L V6 SOHC i-VTEC 24V 19/27 City/Highway MPG Awards: * 2016 KBB.com Best Buy Awards Finalist * 2016 KBB.com 5-Year Cost to Own Awards 2016 Kelley Blue Book Brand Image Awards are based on the Brand Watch(tm) study from Kelley Blue Book Market Intelligence. Award calculated among non-luxury shoppers. For more information, visit www.kbb.com. Kelley Blue Book is a registered trademark of Kelley Blue Book Co., Inc. All of our vehicles are researched and priced regularly using LIVE MARKET PRICING TECHNOLOGY to ensure that you always receive the best overall market value. Contact Alyssa or Jeremy in our internet department at (708)364-2321 to set up your test drive today! Reviews: * Generous number of features for the money; adept handling; good fuel economy; confident acceleration; quiet cabin; excellent crash-test scores. Source: Edmunds * The Acura MDX is as refined as it is sophisticated. It is adorned with gorgeous Jewel Eye LED Headlights, which are designed to help improve reaction times and lessen eyestrain. With SUVs and Crossovers, keeping vehicle weight low is important. 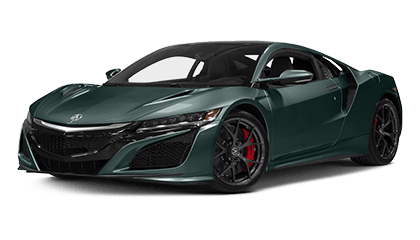 Acura worked some engineering magic when they shed 275 pounds from the vehicle, all the while increasing unit body rigidity using hi-tech lightweight materials. Expert engineering make the MDX quieter with acoustic front glass, sound-deadening materials, and active noise cancellation. On the inside, drivers will find comfort and luxury amidst high-tech advancements. The dash offers a sleek look and convenient arrangement of controls. 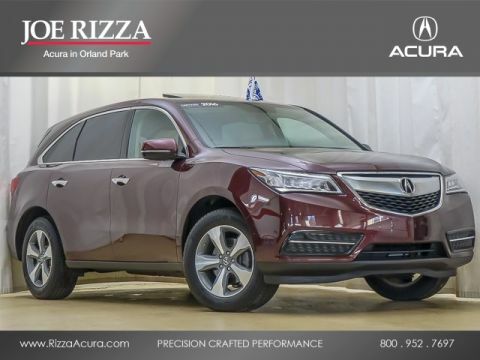 The MDX comes standard with a 3.5L 290hp V6, i-VTEC engine, which gets an EPA estimated 19 MPG City and 27 MPG Highway for FWD models and 15/27 for SH-AWD models. It has a 9-Speed Sequential SportShift Automatic and the ability to switch to manual control where you can change gears with paddle shifters. 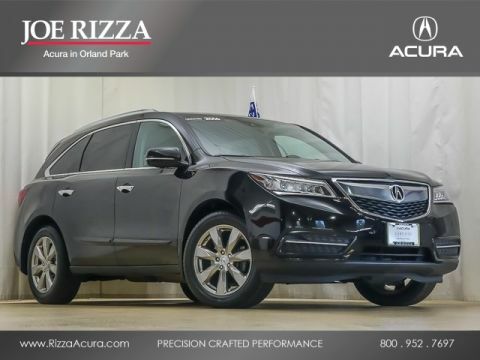 The MDX comes standard with a very generous assortment of features. Some of the items are the Multi-View Rear Camera, Anti-lock Brakes, USB iPod Integration, Vehicle Stability Assist, Bluetooth HandsFreeLink, and a Power Tailgate. Optional packages give you amazing items as well. Some of them are Acura's Next Generation Navigation System, the Forward Collision Warning System, ELS Premium 10 speaker Sound System, and a 9-inch overhead screen in the rear with the Entertainment Package or a 16.2-inch split screen display with the Advance package which can display up to 2 video sources. Acuralink can also provide other services with a subscription including vehicle theft tracking, live concierge service, and remote unlocking/locking. Source: The Manufacturer Summary Serving all of Chicago, Orland Park, Tinley Park, Frankfort, New Lenox, Mokena, Manhattan, Homer Glen, Lockport, Lemont Oak Lawn, Palos Heights, Palos Hills, Oak Brook, Naperville, Hinsdale, Lombard, Lisle, Bolingbrook, Joliet and Oak Park, Chicago land & Chesterton, Crown Point, DeMotte, Dyer, East Chicago, Griffith, Highland, Hammond, Hebron, Hobart, Kentland, Lake Station, La Porte, Merrillville, Michigan City, Munster, Portage, Rensselaer, Schererville, St. John, Cedar Lake, Valparaiso, and Winfield,Gary, Northwest Indiana. Clean CARFAX. Certified. 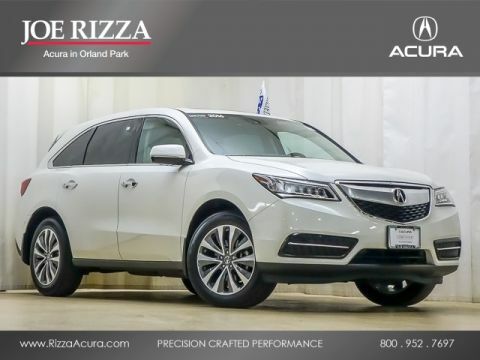 2016 Acura MDX Graphite Luster Metallic 3.5L SH-AWD w/Technology Pkg AWD 9-Speed Automatic 3.5L V6 SOHC i-VTEC 24V 18/26 City/Highway MPG Awards: * 2016 KBB.com Best Buy Awards Finalist * 2016 KBB.com 5-Year Cost to Own Awards 2016 Kelley Blue Book Brand Image Awards are based on the Brand Watch(tm) study from Kelley Blue Book Market Intelligence. Award calculated among non-luxury shoppers. For more information, visit www.kbb.com. Kelley Blue Book is a registered trademark of Kelley Blue Book Co., Inc. All of our vehicles are researched and priced regularly using LIVE MARKET PRICING TECHNOLOGY to ensure that you always receive the best overall market value. Contact Alyssa or Jeremy in our internet department at (708)364-2321 to set up your test drive today! Reviews: * Generous number of features for the money; adept handling; good fuel economy; confident acceleration; quiet cabin; excellent crash-test scores. Source: Edmunds * The Acura MDX is as refined as it is sophisticated. It is adorned with gorgeous Jewel Eye LED Headlights, which are designed to help improve reaction times and lessen eyestrain. With SUVs and Crossovers, keeping vehicle weight low is important. 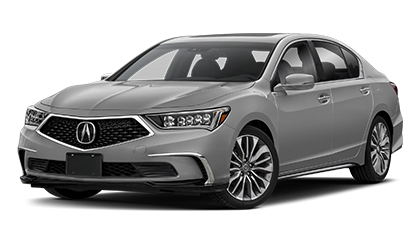 Acura worked some engineering magic when they shed 275 pounds from the vehicle, all the while increasing unit body rigidity using hi-tech lightweight materials. Expert engineering make the MDX quieter with acoustic front glass, sound-deadening materials, and active noise cancellation. On the inside, drivers will find comfort and luxury amidst high-tech advancements. The dash offers a sleek look and convenient arrangement of controls. 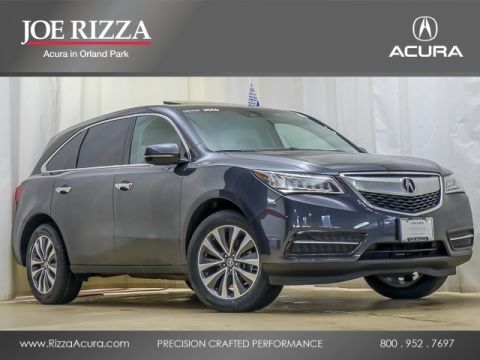 The MDX comes standard with a 3.5L 290hp V6, i-VTEC engine, which gets an EPA estimated 19 MPG City and 27 MPG Highway for FWD models and 15/27 for SH-AWD models. It has a 9-Speed Sequential SportShift Automatic and the ability to switch to manual control where you can change gears with paddle shifters. The MDX comes standard with a very generous assortment of features. Some of the items are the Multi-View Rear Camera, Anti-lock Brakes, USB iPod Integration, Vehicle Stability Assist, Bluetooth HandsFreeLink, and a Power Tailgate. Optional packages give you amazing items as well. Some of them are Acura's Next Generation Navigation System, the Forward Collision Warning System, ELS Premium 10 speaker Sound System, and a 9-inch overhead screen in the rear with the Entertainment Package or a 16.2-inch split screen display with the Advance package which can display up to 2 video sources. Acuralink can also provide other services with a subscription including vehicle theft tracking, live concierge service, and remote unlocking/locking. Source: The Manufacturer Summary Serving all of Chicago, Orland Park, Tinley Park, Frankfort, New Lenox, Mokena, Manhattan, Homer Glen, Lockport, Lemont Oak Lawn, Palos Heights, Palos Hills, Oak Brook, Naperville, Hinsdale, Lombard, Lisle, Bolingbrook, Joliet and Oak Park, Chicago land & Chesterton, Crown Point, DeMotte, Dyer, East Chicago, Griffith, Highland, Hammond, Hebron, Hobart, Kentland, Lake Station, La Porte, Merrillville, Michigan City, Munster, Portage, Rensselaer, Schererville, St. John, Cedar Lake, Valparaiso, and Winfield,Gary, Northwest Indiana. Certified. 2016 Acura MDX White Diamond Pearl 3.5L SH-AWD w/Technology Pkg AWD 9-Speed Automatic 3.5L V6 SOHC i-VTEC 24V 18/26 City/Highway MPG Awards: * 2016 KBB.com Best Buy Awards Finalist * 2016 KBB.com 5-Year Cost to Own Awards 2016 Kelley Blue Book Brand Image Awards are based on the Brand Watch(tm) study from Kelley Blue Book Market Intelligence. Award calculated among non-luxury shoppers. For more information, visit www.kbb.com. Kelley Blue Book is a registered trademark of Kelley Blue Book Co., Inc. All of our vehicles are researched and priced regularly using LIVE MARKET PRICING TECHNOLOGY to ensure that you always receive the best overall market value. Contact Alyssa or Jeremy in our internet department at (708)364-2321 to set up your test drive today! Reviews: * Generous number of features for the money; adept handling; good fuel economy; confident acceleration; quiet cabin; excellent crash-test scores. Source: Edmunds * The Acura MDX is as refined as it is sophisticated. It is adorned with gorgeous Jewel Eye LED Headlights, which are designed to help improve reaction times and lessen eyestrain. With SUVs and Crossovers, keeping vehicle weight low is important. 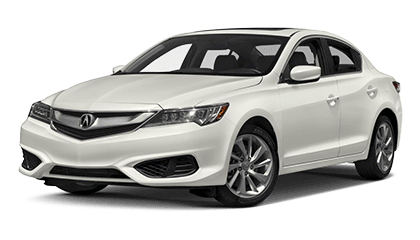 Acura worked some engineering magic when they shed 275 pounds from the vehicle, all the while increasing unit body rigidity using hi-tech lightweight materials. Expert engineering make the MDX quieter with acoustic front glass, sound-deadening materials, and active noise cancellation. On the inside, drivers will find comfort and luxury amidst high-tech advancements. The dash offers a sleek look and convenient arrangement of controls. 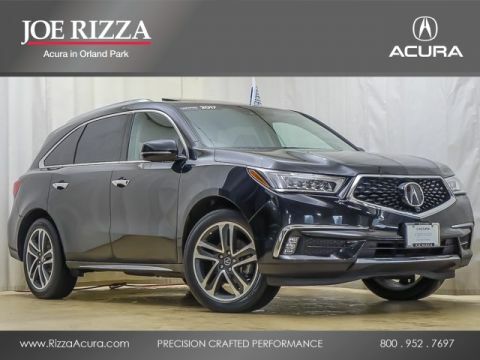 The MDX comes standard with a 3.5L 290hp V6, i-VTEC engine, which gets an EPA estimated 19 MPG City and 27 MPG Highway for FWD models and 15/27 for SH-AWD models. It has a 9-Speed Sequential SportShift Automatic and the ability to switch to manual control where you can change gears with paddle shifters. The MDX comes standard with a very generous assortment of features. Some of the items are the Multi-View Rear Camera, Anti-lock Brakes, USB iPod Integration, Vehicle Stability Assist, Bluetooth HandsFreeLink, and a Power Tailgate. Optional packages give you amazing items as well. Some of them are Acura's Next Generation Navigation System, the Forward Collision Warning System, ELS Premium 10 speaker Sound System, and a 9-inch overhead screen in the rear with the Entertainment Package or a 16.2-inch split screen display with the Advance package which can display up to 2 video sources. Acuralink can also provide other services with a subscription including vehicle theft tracking, live concierge service, and remote unlocking/locking. Source: The Manufacturer Summary Serving all of Chicago, Orland Park, Tinley Park, Frankfort, New Lenox, Mokena, Manhattan, Homer Glen, Lockport, Lemont Oak Lawn, Palos Heights, Palos Hills, Oak Brook, Naperville, Hinsdale, Lombard, Lisle, Bolingbrook, Joliet and Oak Park, Chicago land & Chesterton, Crown Point, DeMotte, Dyer, East Chicago, Griffith, Highland, Hammond, Hebron, Hobart, Kentland, Lake Station, La Porte, Merrillville, Michigan City, Munster, Portage, Rensselaer, Schererville, St. John, Cedar Lake, Valparaiso, and Winfield,Gary, Northwest Indiana. Clean CARFAX. Certified. 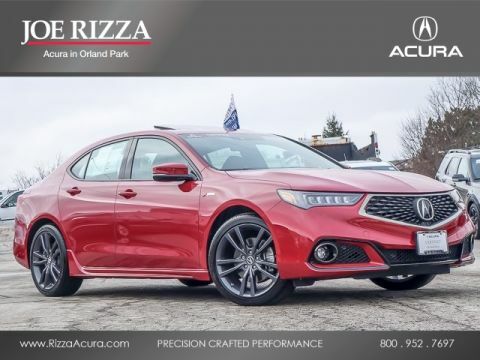 2019 Acura TLX San Marino Red 2.4L Technology Pkg w/A-Spec Pkg FWD 8-Speed Dual-Clutch 2.4L DOHC 16V 23/32 City/Highway MPG All of our vehicles are researched and priced regularly using LIVE MARKET PRICING TECHNOLOGY to ensure that you always receive the best overall market value. Contact Alyssa or Jeremy in our internet department at (708)364-2321 to set up your test drive today! Serving all of Chicago, Orland Park, Tinley Park, Frankfort, New Lenox, Mokena, Manhattan, Homer Glen, Lockport, Lemont Oak Lawn, Palos Heights, Palos Hills, Oak Brook, Naperville, Hinsdale, Lombard, Lisle, Bolingbrook, Joliet and Oak Park, Chicago land & Chesterton, Crown Point, DeMotte, Dyer, East Chicago, Griffith, Highland, Hammond, Hebron, Hobart, Kentland, Lake Station, La Porte, Merrillville, Michigan City, Munster, Portage, Rensselaer, Schererville, St. John, Cedar Lake, Valparaiso, and Winfield,Gary, Northwest Indiana. Clean CARFAX. Certified. 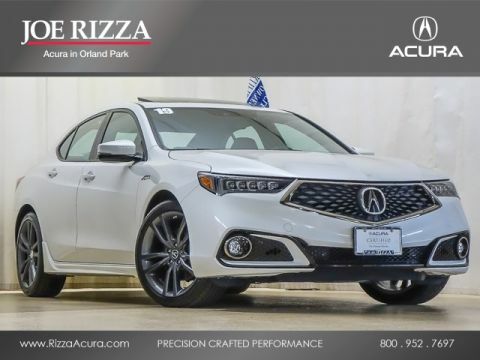 2019 Acura TLX Platinum White Pearl 2.4L Technology Pkg w/A-Spec Pkg FWD 8-Speed Dual-Clutch 2.4L DOHC 16V 23/32 City/Highway MPG All of our vehicles are researched and priced regularly using LIVE MARKET PRICING TECHNOLOGY to ensure that you always receive the best overall market value. Contact Alyssa or Jeremy in our internet department at (708)364-2321 to set up your test drive today! Serving all of Chicago, Orland Park, Tinley Park, Frankfort, New Lenox, Mokena, Manhattan, Homer Glen, Lockport, Lemont Oak Lawn, Palos Heights, Palos Hills, Oak Brook, Naperville, Hinsdale, Lombard, Lisle, Bolingbrook, Joliet and Oak Park, Chicago land & Chesterton, Crown Point, DeMotte, Dyer, East Chicago, Griffith, Highland, Hammond, Hebron, Hobart, Kentland, Lake Station, La Porte, Merrillville, Michigan City, Munster, Portage, Rensselaer, Schererville, St. John, Cedar Lake, Valparaiso, and Winfield,Gary, Northwest Indiana. Clean CARFAX. Certified. 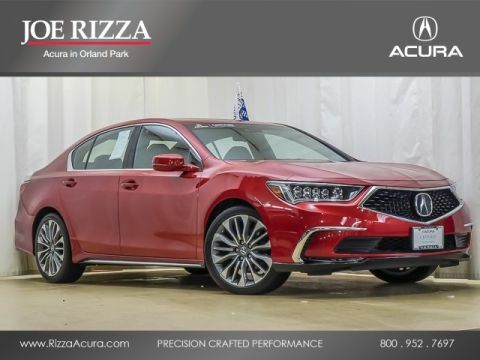 2018 Acura RLX Brilliant Red Metallic Technology Package FWD 10-Speed Automatic 3.5L V6 SOHC i-VTEC 24V 20/29 City/Highway MPG All of our vehicles are researched and priced regularly using LIVE MARKET PRICING TECHNOLOGY to ensure that you always receive the best overall market value. Contact Alyssa or Jeremy in our internet department at (708)364-2321 to set up your test drive today! Serving all of Chicago, Orland Park, Tinley Park, Frankfort, New Lenox, Mokena, Manhattan, Homer Glen, Lockport, Lemont Oak Lawn, Palos Heights, Palos Hills, Oak Brook, Naperville, Hinsdale, Lombard, Lisle, Bolingbrook, Joliet and Oak Park, Chicago land & Chesterton, Crown Point, DeMotte, Dyer, East Chicago, Griffith, Highland, Hammond, Hebron, Hobart, Kentland, Lake Station, La Porte, Merrillville, Michigan City, Munster, Portage, Rensselaer, Schererville, St. John, Cedar Lake, Valparaiso, and Winfield,Gary, Northwest Indiana. Clean CARFAX. Certified. 2017 Acura MDX Crystal Black Pearl 3.5L SH-AWD w/Advance & Entertainment Pkgs AWD 9-Speed Automatic 3.5L V6 SOHC i-VTEC 24V 19/26 City/Highway MPG Awards: * 2017 IIHS Top Safety Pick+ * 2017 KBB.com 5-Year Cost to Own Awards 2016 Kelley Blue Book Brand Image Awards are based on the Brand Watch(tm) study from Kelley Blue Book Market Intelligence. Award calculated among non-luxury shoppers. For more information, visit www.kbb.com. Kelley Blue Book is a registered trademark of Kelley Blue Book Co., Inc. *Insurance Institute for Highway Safety. All of our vehicles are researched and priced regularly using LIVE MARKET PRICING TECHNOLOGY to ensure that you always receive the best overall market value. Contact Alyssa or Jeremy in our internet department at (708)364-2321 to set up your test drive today! Reviews: * Generous array of features and active driver aids for the money; optional SH-AWD system enhances handling and all-season surefootedness; smooth and confident acceleration from the V6 engine; quiet, comfortable and spacious cabin Source: Edmunds Serving all of Chicago, Orland Park, Tinley Park, Frankfort, New Lenox, Mokena, Manhattan, Homer Glen, Lockport, Lemont Oak Lawn, Palos Heights, Palos Hills, Oak Brook, Naperville, Hinsdale, Lombard, Lisle, Bolingbrook, Joliet and Oak Park, Chicago land & Chesterton, Crown Point, DeMotte, Dyer, East Chicago, Griffith, Highland, Hammond, Hebron, Hobart, Kentland, Lake Station, La Porte, Merrillville, Michigan City, Munster, Portage, Rensselaer, Schererville, St. John, Cedar Lake, Valparaiso, and Winfield,Gary, Northwest Indiana. Clean CARFAX. Certified. 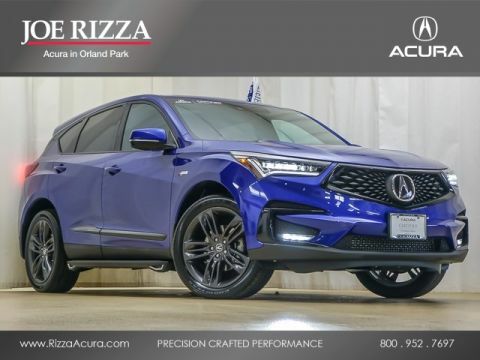 2019 Acura RDX Apex Blue Pearl A-Spec Package SH-AWD AWD 10-Speed Automatic 2.0L 16V DOHC 21/26 City/Highway MPG All of our vehicles are researched and priced regularly using LIVE MARKET PRICING TECHNOLOGY to ensure that you always receive the best overall market value. Contact Alyssa or Jeremy in our internet department at (708)364-2321 to set up your test drive today! Serving all of Chicago, Orland Park, Tinley Park, Frankfort, New Lenox, Mokena, Manhattan, Homer Glen, Lockport, Lemont Oak Lawn, Palos Heights, Palos Hills, Oak Brook, Naperville, Hinsdale, Lombard, Lisle, Bolingbrook, Joliet and Oak Park, Chicago land & Chesterton, Crown Point, DeMotte, Dyer, East Chicago, Griffith, Highland, Hammond, Hebron, Hobart, Kentland, Lake Station, La Porte, Merrillville, Michigan City, Munster, Portage, Rensselaer, Schererville, St. John, Cedar Lake, Valparaiso, and Winfield,Gary, Northwest Indiana. Clean CARFAX. Certified. 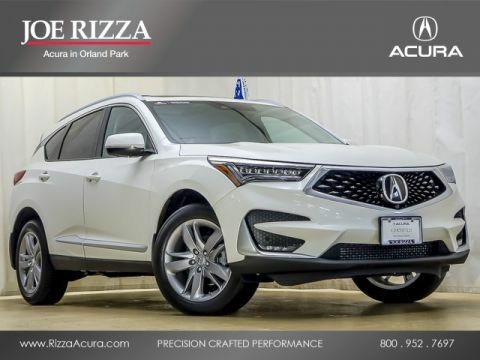 2019 Acura RDX White Diamond Pearl Advance Package SH-AWD AWD 10-Speed Automatic 2.0L 16V DOHC 21/27 City/Highway MPG All of our vehicles are researched and priced regularly using LIVE MARKET PRICING TECHNOLOGY to ensure that you always receive the best overall market value. Contact Alyssa or Jeremy in our internet department at (708)364-2321 to set up your test drive today! Serving all of Chicago, Orland Park, Tinley Park, Frankfort, New Lenox, Mokena, Manhattan, Homer Glen, Lockport, Lemont Oak Lawn, Palos Heights, Palos Hills, Oak Brook, Naperville, Hinsdale, Lombard, Lisle, Bolingbrook, Joliet and Oak Park, Chicago land & Chesterton, Crown Point, DeMotte, Dyer, East Chicago, Griffith, Highland, Hammond, Hebron, Hobart, Kentland, Lake Station, La Porte, Merrillville, Michigan City, Munster, Portage, Rensselaer, Schererville, St. John, Cedar Lake, Valparaiso, and Winfield,Gary, Northwest Indiana. Certified. 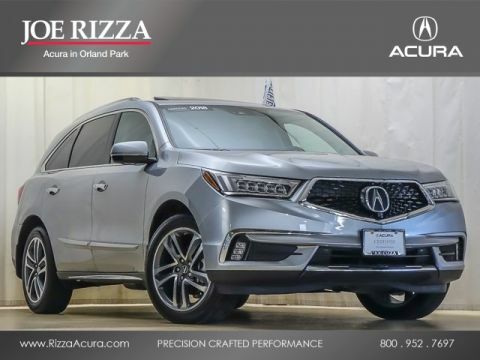 2018 Acura MDX Lunar Silver Metallic 3.5L SH-AWD w/Advance Package AWD 9-Speed Automatic 3.5L V6 SOHC i-VTEC 24V 19/26 City/Highway MPG All of our vehicles are researched and priced regularly using LIVE MARKET PRICING TECHNOLOGY to ensure that you always receive the best overall market value. Contact Alyssa or Jeremy in our internet department at (708)364-2321 to set up your test drive today! Serving all of Chicago, Orland Park, Tinley Park, Frankfort, New Lenox, Mokena, Manhattan, Homer Glen, Lockport, Lemont Oak Lawn, Palos Heights, Palos Hills, Oak Brook, Naperville, Hinsdale, Lombard, Lisle, Bolingbrook, Joliet and Oak Park, Chicago land & Chesterton, Crown Point, DeMotte, Dyer, East Chicago, Griffith, Highland, Hammond, Hebron, Hobart, Kentland, Lake Station, La Porte, Merrillville, Michigan City, Munster, Portage, Rensselaer, Schererville, St. John, Cedar Lake, Valparaiso, and Winfield,Gary, Northwest Indiana. Certified. 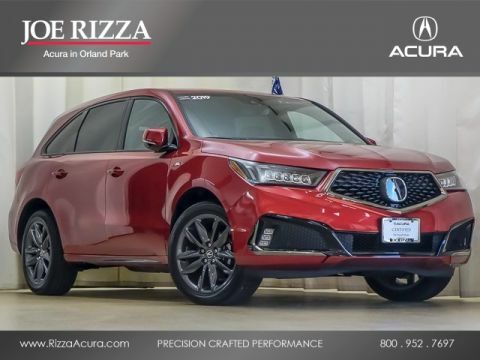 2019 Acura MDX Performance Red Pearl 3.5L Technology Pkg w/A-Spec Pkg SH-AWD AWD 9-Speed Automatic 3.5L V6 SOHC i-VTEC 24V Recent Arrival! All of our vehicles are researched and priced regularly using LIVE MARKET PRICING TECHNOLOGY to ensure that you always receive the best overall market value. Contact Alyssa or Jeremy in our internet department at (708)364-2321 to set up your test drive today! Serving all of Chicago, Orland Park, Tinley Park, Frankfort, New Lenox, Mokena, Manhattan, Homer Glen, Lockport, Lemont Oak Lawn, Palos Heights, Palos Hills, Oak Brook, Naperville, Hinsdale, Lombard, Lisle, Bolingbrook, Joliet and Oak Park, Chicago land & Chesterton, Crown Point, DeMotte, Dyer, East Chicago, Griffith, Highland, Hammond, Hebron, Hobart, Kentland, Lake Station, La Porte, Merrillville, Michigan City, Munster, Portage, Rensselaer, Schererville, St. John, Cedar Lake, Valparaiso, and Winfield,Gary, Northwest Indiana.